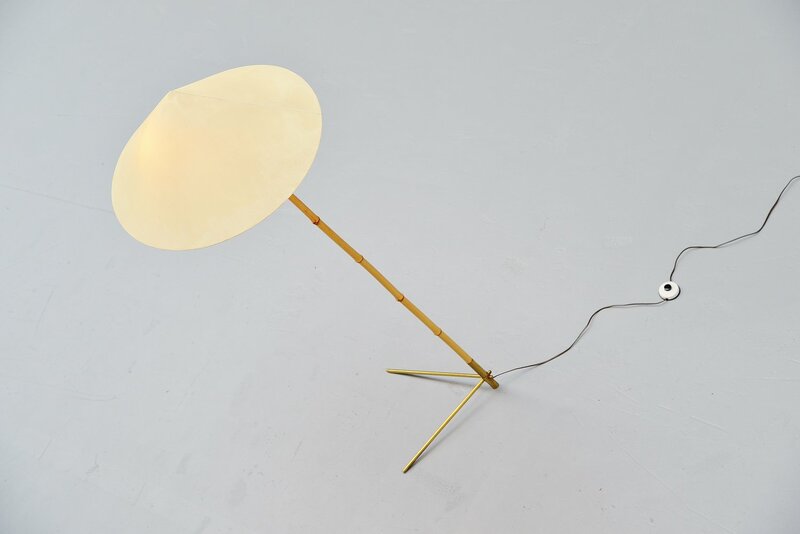 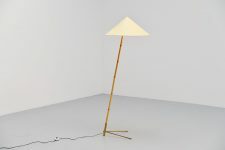 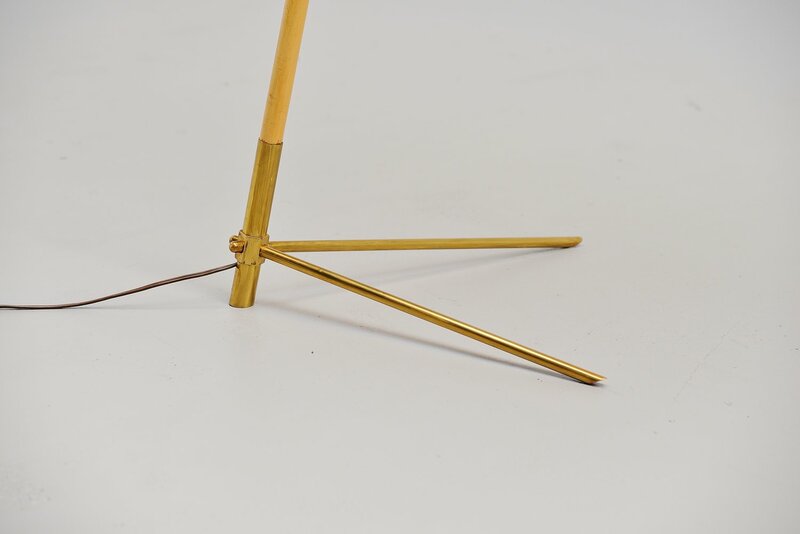 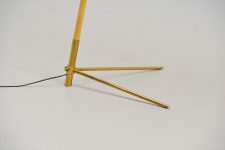 Very nicely made and shaped floor lamp designed and made by Rupert Nikoll, Austria 1950. 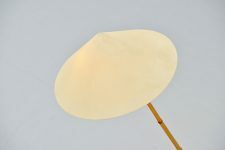 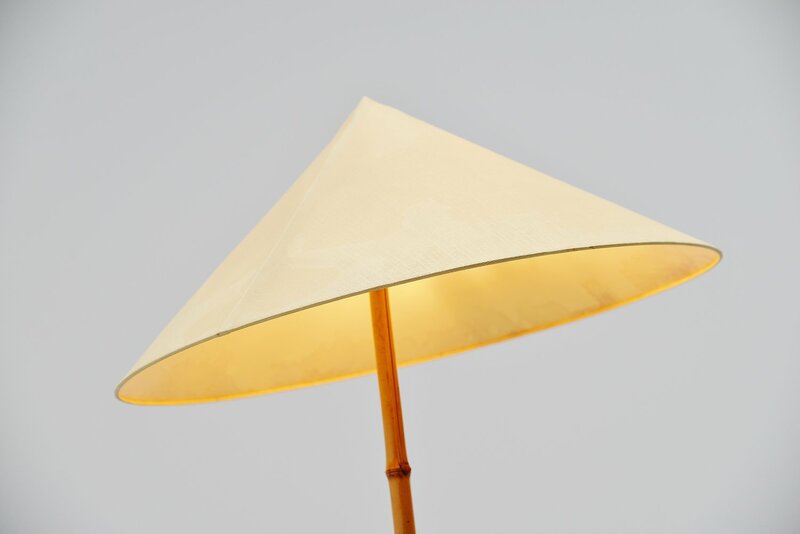 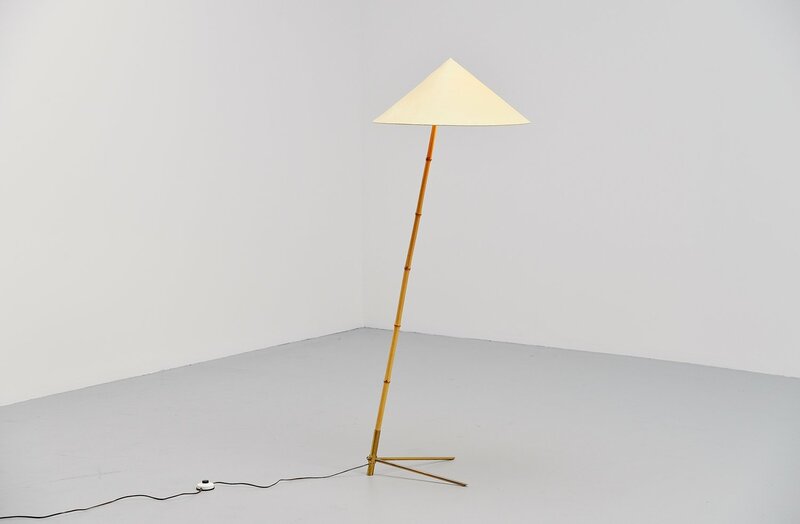 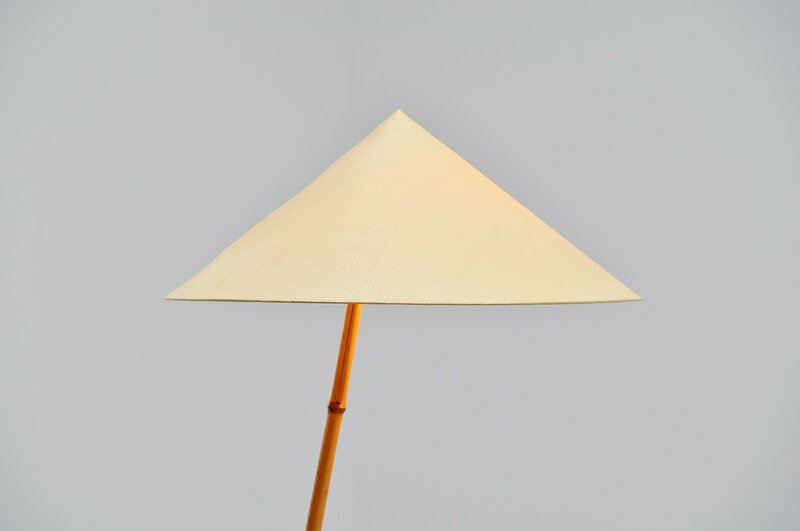 This early floor lamp has a bamboo and brass foot with a fabric Chinese hat shaped shade. 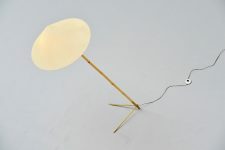 The lamp has a nice large size and gives very nice and warm light when lit. 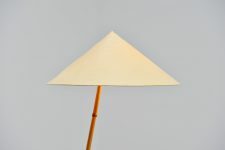 The shade is original but has some normal age wear to it. 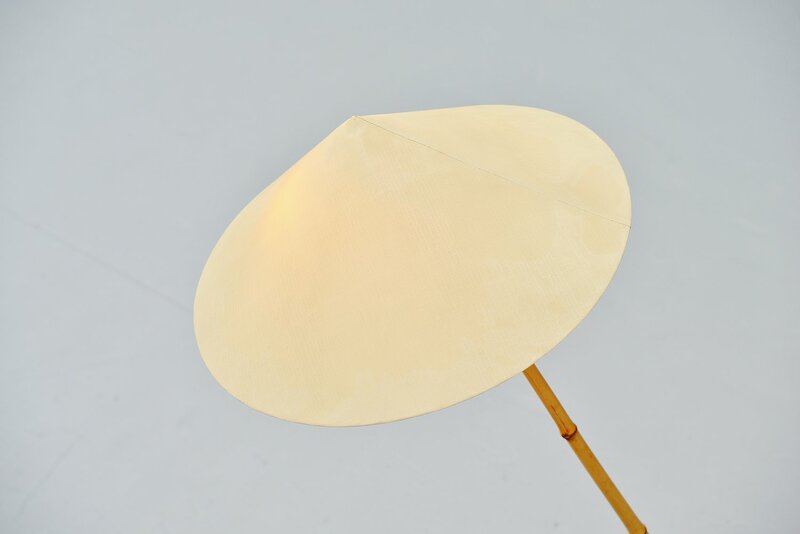 I like the patina to it myself but if you want a perfect shade we would advise making a new one. 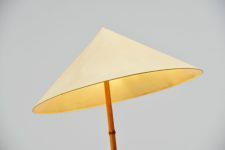 Condition: Good, shade has some wear.